Notes & Thoughts on the Art & Science of Clinical Orthodontics. There’s Something About MDP (Mobile Dental Photography)!.. As many of you probably know, Mobile Dental Photography (MDP) has been gaining track in recent years as smartphone technology advances in terms of sensor quality, resolution, and lens sophistication, leading to much improved image quality over the last few years. MDP has also caught on mainly due to smartphones being relatively smaller and lighter than a Digital SLR camera and so many clinicians prefer the “lighthearted” nature of it. Digital Dental Photography in general is no stranger to rapid spread and advancement, taking advantage of everything new technology has to offer in such a rapid-pace world. I’ve been involved with photography in general and dental photography in particular for almost two decades now, and I have come to Photography from both a technical aspect as well as a creative one as well. Adoption of Digital Photography came as part of my UK training in the early 2000s and ever since, the sophistication and quality of DSLRs has increased exponenetially, and for many reasons is still unmatched by the current generation of mobile phone cameras. This DSLR superiority has many technical – and physical – reasons, as I will shortly explain. This can result in some subtle – yet impactful – effects in the desired end-result, if we are not careful. I thought it would be important to share my personal opinion with you in this post. A DSLR is a sophistacted camera body with some fantastic technology. The main advantage of a DSLR body is that any number of “interchangeable lenses” with different focal lengths can be fitted, removed and refitted to suit the photographer’s needs and requirements. This allows for high versatility in different situations. DSLRs are also fitted with relatively larger-size, higher quality digital sensors resulting in extremely high-quality pixel reproduction, sharpness and color accuracy. Such sensors are – as yet – impossible to fit inside a much smaller and thinner mobile phone and there seems to be actual physical limitations that are extremely difficult to overcome in order to introduce similar quality sensors in a mobile phone. The overall image quality that it’s able to reproduce in comparison to a DSLR in terms of resoltuion, Pixel sharpness, and accurate color reproduction – and I’m talking here from a deep-level technical perspective, not from a mobile company’s marketing hype perspective! The focal length distortion problem, which is the main issue I’ve decided to explain in this post since it is an issue that seems to be either overlooked or ignored by proponents of Mobile Dental Photography, and I have yet to see, hear or read about it being discussed in dental photography circles despite its obvioussness to any photography enthusiast with some technical knowldge in photography! Mobile phone lenses are designed for specific purposes, namely taking pictures of every-day scenes and selfies! In order to do that, manufactures have to fit wide-angle lenses (short focal lengths ranging between 24-32mm) onto all mobile phones to be able to incorporate the entire scene from “an arm’s length”, as they say. Otherwise, only a small part of your face would show up in the picture if a longer focal length was used from this short “arm distance”. This leads to what is termed as Barrell Distortion; the face and nose appear enlarged and clown-like, for example. (See Figure below). From a physical standpoint, it is virtually impossible to fit long focal length lens(es) inside mobile phones simply due to the thinness of its frame; the distance between the focal point of the lens and the image sensor becomes so small and – at best – cannot exceed the width of the phone itself! Looking at a DSLR with interchangeable lenses, this problem is non exsistant as you can fit any focal length lens availalbe to you from the shortest to the longest avaialble without any issues. Mobile Phone and DSLR Intraoral comparisons of the same patient, shot successively. The distortion in arch dimensions, form of the dentition and color representation in the mobile shots is obvious! And so mobile phone manufacturers try to counteract these shortcomings mainly through clever programming of the camera software parameters, as they cannot overcome such physical limitations. Some companies have started creating Add-On Macro lenses and flash lights attachements for mobile phones but this has simply negated the intial appeal of the mobile phone as a smaller, lighter, easier and quicker to use setup for dental photography! This also has raised the budget needed for a proper dental photography setup to levels almost equivalent to a DSLR setup, so there goes the “money savings” argument as well! The ideal focal length for Dental photography has traditionally been around 100mm, and for good reason. This focal length produces the least amount of distortion in either dimension, and that’s why professional portrait photographers work within that 85-135mm focal length range – even up to 200mm – to produce the most accurate proportions and pleasing results of their subjects. Currently, the best, most consistent method to produce true 1:1 Macro magnification with accurate proportions for Dental Photography is through using a 100mm equivalent Macro lens on a DSLR. However, this could change in the future as more and more technical advances in smartphone camera technology are being achieved every year. This distortion problem may or may not be a major clinical issue, depending on the type of photos being taken, and on their intended use. For example, in Orthodontics, where photos are taken mostly for clinical records and documentation, this minor distortion issue may be insiginifant clinically. This is why I personally feel that MDP may be better suited for the Orthodontic specialty more than other disciplines of Dentistry, such as the Restorative/Cosmetic discipline. In such disciplines, clinical photography is usually used for Shade communication with dental labs, or for Digital Smile Design and planning purposes. These two uses require the most dimensionally-accurate, color-faithful images possible for proper results and treatment planning. In the cosmetic field, the clinical results could surely be highly affected – in a negative way – by relying on technically distorted tooth dimensions and low color accuracy of teeth produced by a tiny, techincally-inferior digtal sensor of a mobile phone, regardless of the lighting attachments added to it! How can the smartphone version of the above image be accurately used and relied upon as an accurate representation of the the clinical situation when used for Digital Smile Design planning through DSD software? Even if the above shot was taken using any of the recent specialized light and shade calibration attachments, and even with a higher resolution smartphone camera, the distortion will remain as it is a physical function of the built-in smartphone camera lens. I see such devices used extensively in the “celebrity” cosmetic dentistry world – with beautifully-rendered yet obviously highly- software processed end results – yet I have never encountered anyone discussing this issue, not even in dental photography courses as far as I know. Most of my personal enquiries to such colleagues have – as yet – gone unanswered! When I mention this point in my own clinical photography courses, I get lots of empty stares from doctors who admit such an issue never crossed their mind during all their time using – or attempting to use – mobile photography! Mobile Photography is certainly here to stay and will advance further in the future. Many shortcomings will be overcome in coming years through various means, but up to the time of this post’s writing, the clear and technically-better option – in my humble opinion – remains a DSLR photography setup. Hopefully, clinical photography expert colleagues reading this blog post could be kind enough to offer us their own opinion and share their experience in this regard in the comments below. Next ›JAWS – Dr. Proffit and Dr. Ackerman Review a “Sensationalist” Book! yo alejo el movil un poco y pongo el x2 (huawey honor9) y no sale tan agrandada la imagen… estoy buscando una lente macro para el movil, si alguien usa alguna que le parezca util seria interesante que lo comentara. Thanks for your comment. Please note that the “enlargement” or “Barrel distortion” effect is not entirely related to the Lens-Subject distance, but is a function of the Lens design itself and is unavoidable regardless of the distance you use, and regardless whether one can spot the difference with the naked eye or not. A dedicated phone macro lens may certainly help in this regard, but from my modest experience it has its limitations. 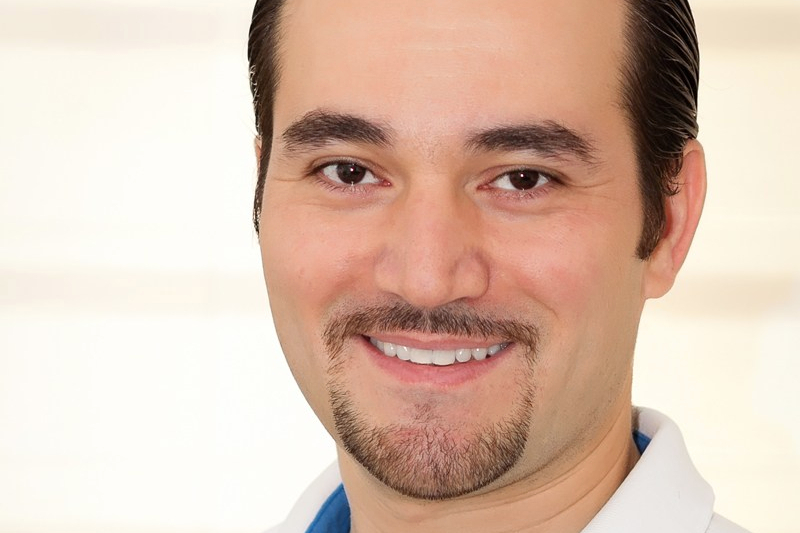 The Orthodontic Notefile is a collection of thoughts, personal experiences and clinical notes of its author, Dr. Shadi Samawi, on the art and science of Clinical Orthodontics.